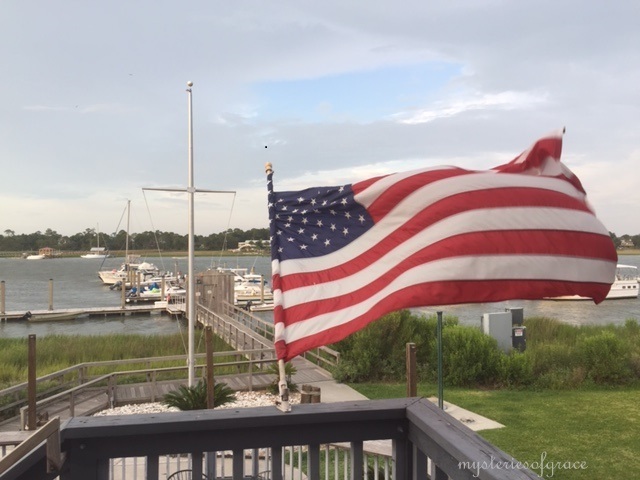 This addition of Thankful Thursday brought to you from peaceful shores just outside the beautiful, historic city of Charleston, South Carolina. Today I’m thankful for vacation! 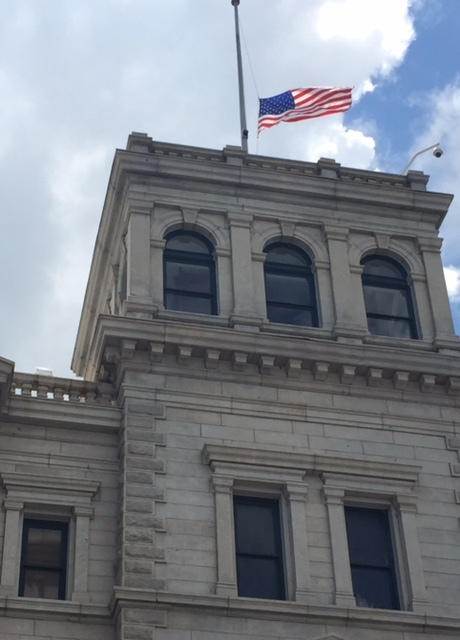 In the wake of the recent tragedy in Charleston, my heart is still grieved, but also stirred, as many flags in the area are still flying at half staff, remembering and honoring those who lost their lives. Like soldiers’ salutes or the collective bowing of heads in respect, the sentries of flag poles have held their charges low, draped like humble coverings over the dead and wounded. In the midst of pain, peace and remembrance soar in the colors of red, white, and blue draped across those flag poles. And other poles… The sounds of clicks, swishes, and splashes echo like the ripples in the waters where we have cast, reeled, and waited: fishing poles. Cast, watch, wait, repeat. Relax, talk, wiggle toes in the water, feel the warmth of the sun, repeat. 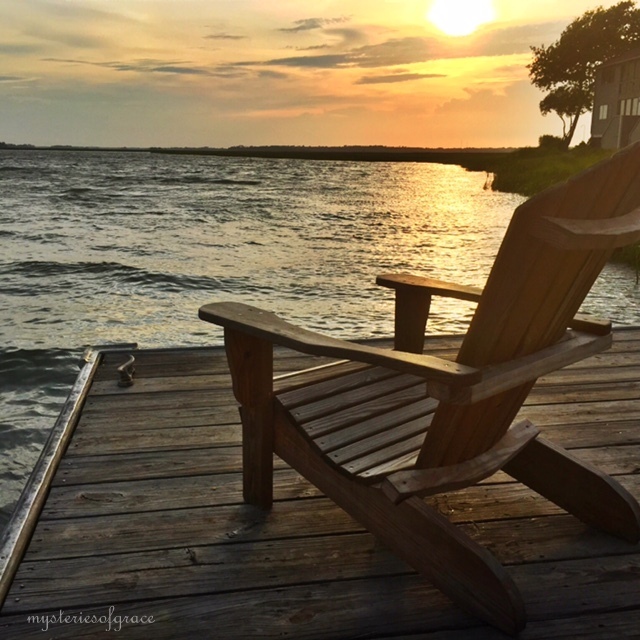 Ride the boat, walk the shore, squish the sand, pad the pier… A sturdy Adirondack chair sits confidently at the end of the pier and faces west. The sun sinks, the poles rise, the pier sways, and we are thankful. The pier stretches like a faithful friend who has been with us every step of the way, encouraging us out to the deep, to walk in faith, to explore and live. We walk the piers over the marshes, the river, the harbor, the ocean. They creak, they sway, they are imperfect, uneven, and splintered but they take us to places beyond the shore and open our eyes to sites otherwise unseen. They support us and let us rest for awhile. I sit, I type, I start the morning with a welcoming cup of coffee and an invigorating breeze. It’s vacation. 🙂 The downstairs porch is screened and looks out over the marina as the boats sway sleepily in the rocking water. 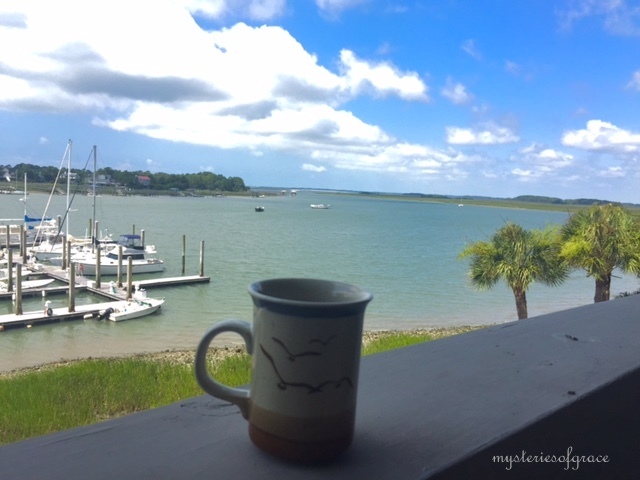 The upstairs porch is open but the coffee and the view are the same. The sound is the same. It is both silent and deafening. The water repeatedly whispers to the shore and the seagulls and pelicans screech and swoop and shout out early morning conversations. 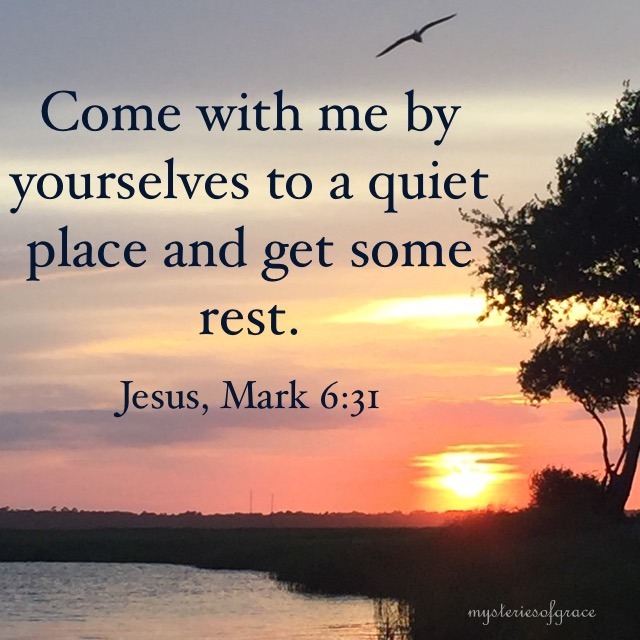 The thoughts are loudest when the world is quiet and the schedule is undemanding and forgiving. Porches are sanctuaries, meeting places, and welcoming friends who encourage you to sit, still, reflect, and be thankful. What vacation is complete without a little dip in the blue waters? The pool is nestled between palm trees, a gurgling fountain, and footprints of excited children. It is blue and warm and inviting. Splash bombs, back flips, and swim races transform my almost-adults into laughing, carefree children. It makes me smile. 🙂 It makes me think. It makes me thankful. Palm trees sway, the wind blows, the water splashes, the laughter and lightness lift my head and lift my spirit. The sky is blue, the wind is warm, and next to the pool another flag is waiting and waving and bowing. I am thankful.